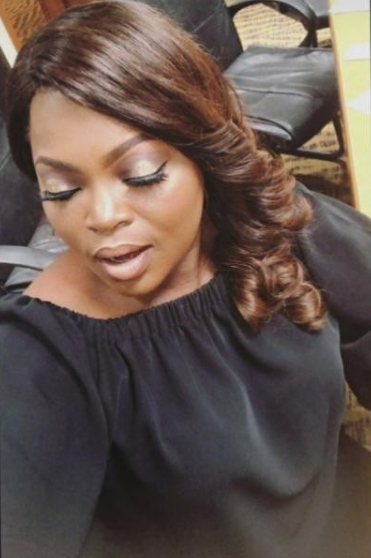 Funke Akindele is finally getting over her sorrowful ordeal. 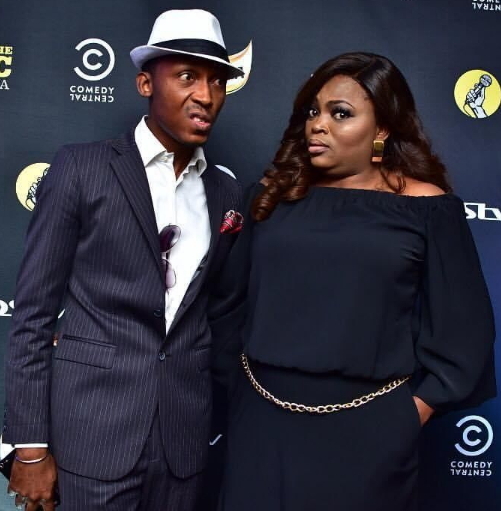 The actress who recently lost multiple babies has returned to the social space. No one can dispute the fact that her recent outfits to corporate functions indicates that she is still mourning the loss of her babies, what is more concerning right now is that the actress seems to have finally dropped her wedding ring as she goes about town with her engagement ring. 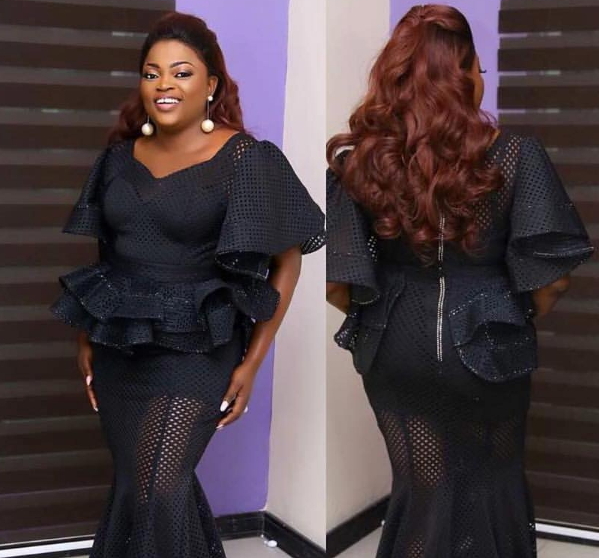 Whether intentionally or for show, sources close to her are very worried that things may not be well in her much publicized wedding to singer JJC. What most people noticed is that the actress seems to be coming out all alone these days with no trace of her loving husband. 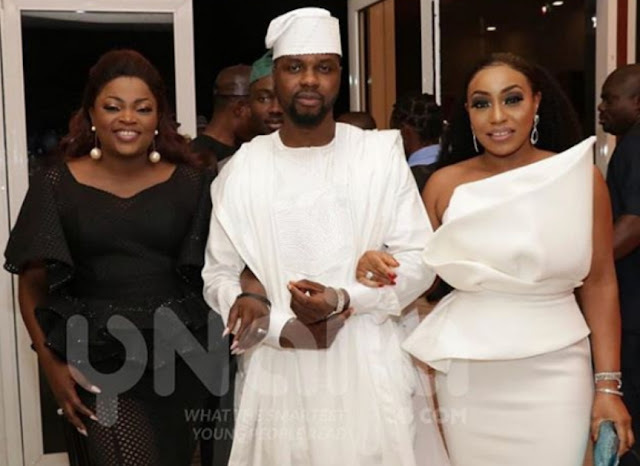 She was last spotted at the Future Awards Africa 2017 with Rita Dominic, Debola Lagos and many others. What curse? what is wrong with Africans? So, something cannot happen naturally? Everything is linked to spiritual undertone. We should grow up, because we are far behind the rest of humanity. SMH! may God comfort u, plz keep away from media for some time whenever u ar pregnant again. God ll perfect he’s blessings in ur life. Funke once you are pregant again stay away from from public and friends,till you deliver safely ,nameing, e.t.c b4 come out to say anything.dont wait too long,everything is new ,go for another IVF, it will work immedately and pray to God Almight. Our good Lord will comfort you. Please stay away from the media. It will be well with you and God will perfect all that concerns you. I will always love you my screen diva…we your fans are always praying for you. Don’t give up. The lord is ur strength. the Lord is more than able, He will do it again my dear don’t loss hope. take care of yourself. God bless you real good. 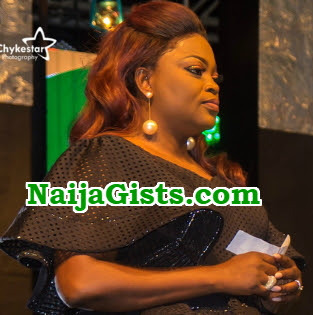 people will start counting it for u..
hi funke u look more beautiful in ur look. All I will tell u is that take life as u see it God reigns and rules in our lives whether we like it or not. Do have a nice time.